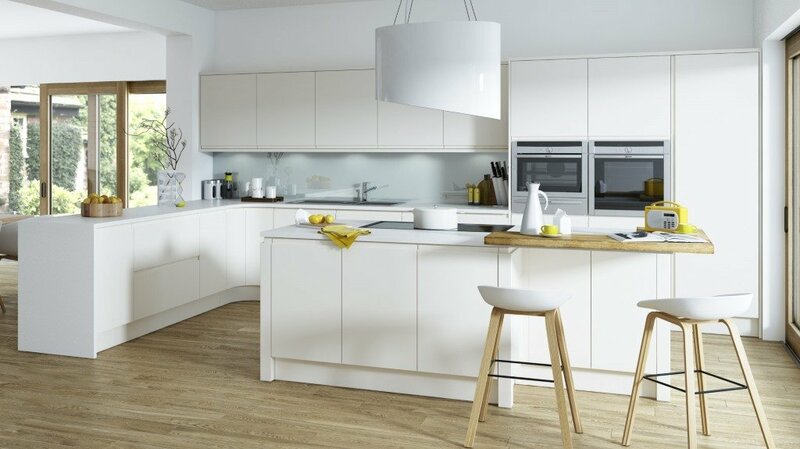 This handleless kitchen is presented here in a matt porcelain finish. 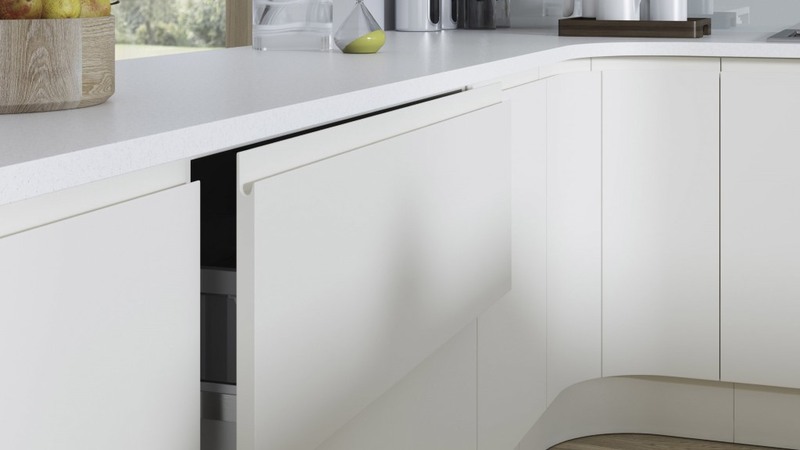 The style is very much contemporary with a sleek handleless kitchen design. The Aconbury is also available in 28 painted colours. 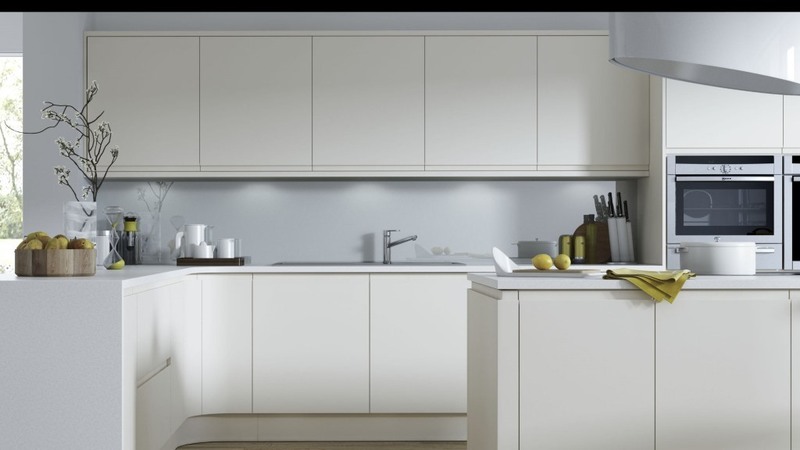 In addition you can specify your own bespoke colour and the Aconbury kitchen will be painted to match.